I love a man in a good suit and tie. Whether it’s because of the fast approaching wedding season or the extensive tie collection Mr. Christian Grey displays in Fifty Shades of Grey, I have been taking notice to more men and their choice of neck-wear. Out are the boring, tired patterns from the 90s. In are the fun, whimsical colors, textures and patterns that are both professional and individualistic. Tie clips can be an added accessory to make any ol’ suit your own style; wear your favorite action figure or something just down right silly. It still adds to your polished look. Don’t be afraid of a little fun! 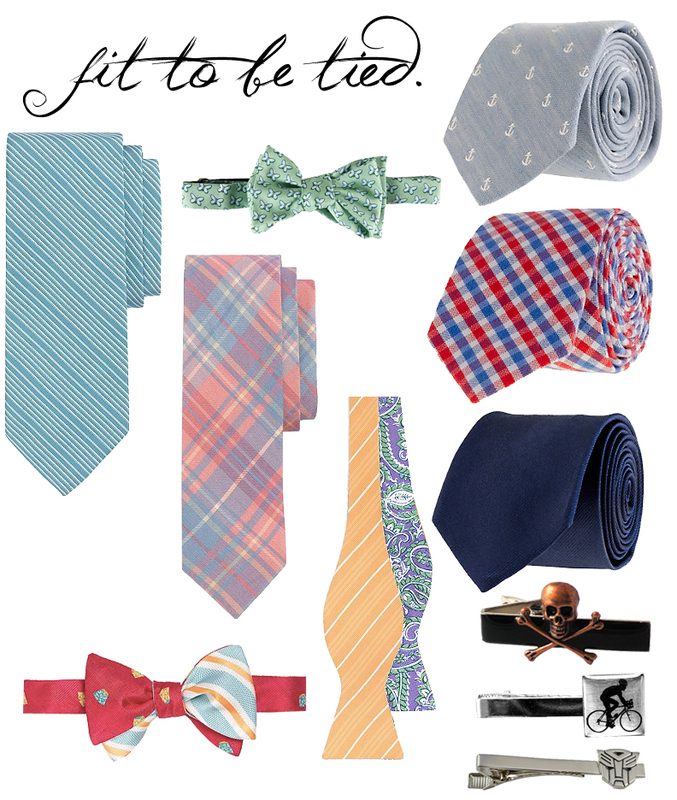 I adore the anchor tie. These are such great picks! Nerding out here, but it’s a plain ole’ Autobots tie clip. Optimus Prime is nowhere to be found in that clip. I think the Etsy page has it wrong as well, so I understand the mistake. Thanks for pointing that out to me! How embarrassing. I’m going to change it this very moment. The “anchor windsor” is really nice, I love both the color and the pattern! You will not be disappointed. Let me know what you think of the book! I definitely will!! So I’ve heard its a great read and I have the part 2 and 3. I’m in the middle of the second book. They are addicting. Oh sorry about that I changed it recently it’s @lovecayferg… Thanks for the tweet! This is a great assortment. I love those reversible bow ties, I have one in navy myself.